Missouri Wrestling Revival would like to wish the best to the current MWR Wrestler of the Year, “The King of Chaos” Ricky Cruz as he makes his return to Mexico in the month of April in one of the biggest cards of the year in the sport. Ricky Cruz has thrilled fans throughout the MWR Coverage area thus earning the MWR Wrestler of the Year. 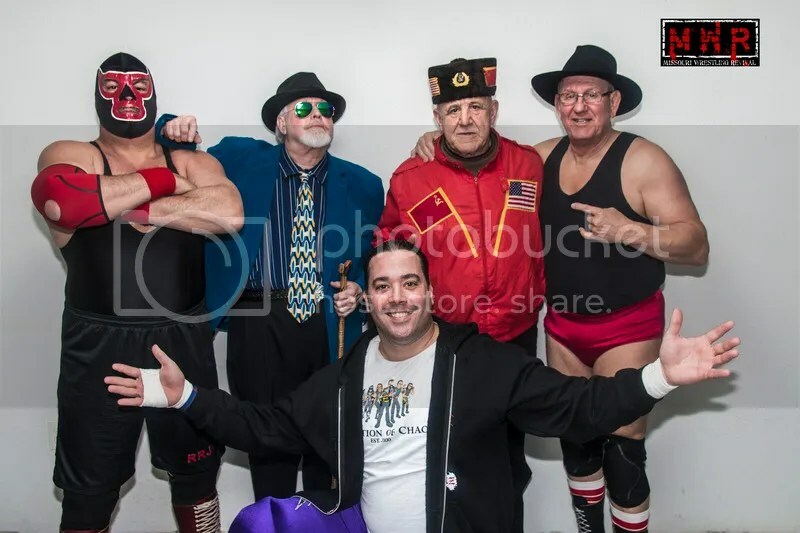 Here he is seen this past month at SICW teaming up with( left to right) Red River Jack, Big Daddy, and WWE Hall of Famer Cowboy Bob Orton (on the far right) with another WWE Hall of Famer Nikolai Volkoff in front of over 400 pump up fans. 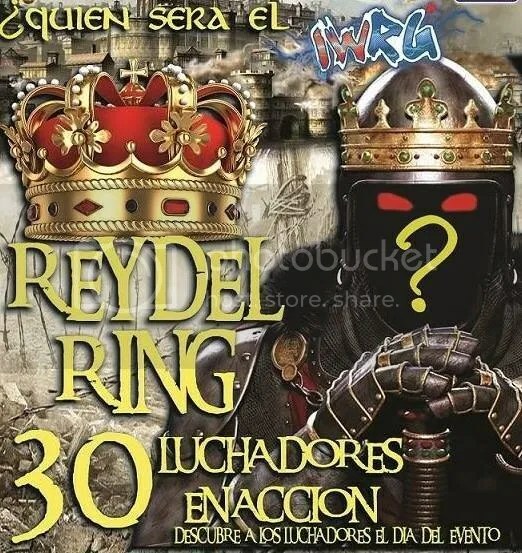 The 2009 King of The Ring winner The King of Chaos Ricky Cruz, comes back to Mexico to the Naucalpan Arena with a IWRG. The Puertorrican will be a part of the King of the Ring event on April 5, 2015, looking to crown himself as King of the Ring for an historic second occasion. Cruz’s first appearance for IWRG was in 2008 when he had an intense feud with Hijo De Anibal. When the dust settled Anibal defeated Cruz in a stipulation match where Cruz lost his mask in June 12, 2008. Cruz returned to Mexico in 2009 for revenge for that loss, but showed that he was better than ever when he won the 2009 King of the Ring belt and teamed with Scorpio Jr, to win the tag team championship. As of today Ricky Cruz is in the United States and currently holds 2 titles from different companies, The GWF Heavyweight Championship and the Galli Lucha Heavyweight Championship, this last one being the most important Hispanic championship in the United States today. When we asked the Ricky Cruz about his thoughts on his 3rd tour to Mexico Cruz stated “I definitely can’t wait to come back to my 2nd home and this time I come for what’s mine the King of the Ring belt., a promotion that has been entertaining fans for 40 years with amazing wrestling shows featuring the best talent in Mexico.” Each year, they have an event called Rey del Ring, (a version of WWE’s King of the Ring tournament) that will have a total of 30 wrestlers from all over the world for this event. The match is set up as gauntlet match where the winner has to be the last one standing after all the other 20 participants have been eliminated by either pinfall, or submission. One of the most gifted wrestlers in the World today, Adam Pearce would give the fans a roller coaster full of emotion with each and every opponent he met. Photo Credit Wikkd Heir Photography. 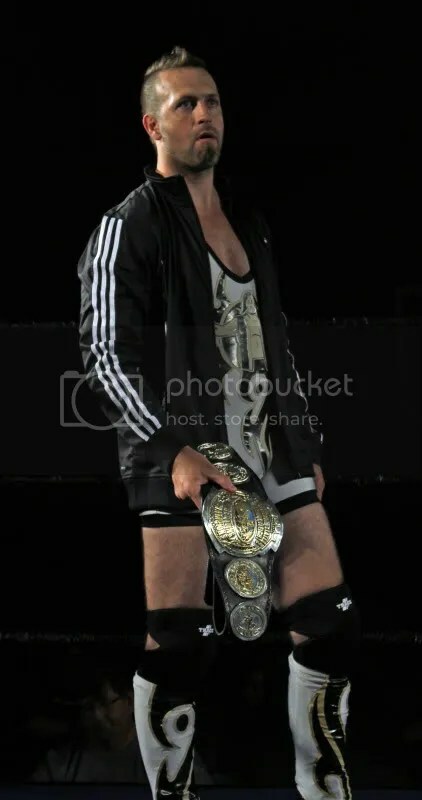 When 2012 started Adam Pearce entered the year during his fourth reign as the NWA champ. As a fighting champion Pearce had returned the tradition of defending the World title back in Kansas City against Michael Strider for the first time in over years. In a classic battle, Strider had thought he had reached a lifelong dream of becoming the NWA World Champion after pinning the champ. Yet, his dream was turned into reality as the match was restarted following Matt Murphy saying Strider’s pin over Pearce was void because Pearce’s foot was under the bottom rope during the pinfall. Pearce would defend his title in the first NWA World’s Heavyweight title match in Des Moines since 1986 at 3XWrestling on January 27, 201 to meet “The Belt Collector” Jeremy Wyatt. Wyatt considered by many to be the greatest wrestler during the MWR Years had earned the respect from fans around the Midwest. The city of Des Moines, Iowa shook as the 3XW fans and Wyatt jumped to their feet after Wyatt had pinned Pearce. Pure happiness would turn to anger as they saw Referee Jeromy Robb have the second ref (that had come in after being inadvertently crushed by both men in the corner) Steve Biley notified the ring announcer that he saw Mark Sterling hit Pearce with the Spear and that Wyatt had in fact been disqualified! As a result, Pearce retained the title. This match would catch the eyes of the wrestling world for Jeremy Wyatt as PWI would rank him in their official NWA rankings at number seven in the world. The next day Pearce would offer his advice and knowledge to the wrestlers around the Midwest for a training seminar at Magnum PRO Wrestling in Council Bluffs, Iowa. Pearce and Magnum PRO gave MWR the honor of sitting in on the day as Pearce was respectful to all and worked with each student in the ring to improve their skills in the ring. 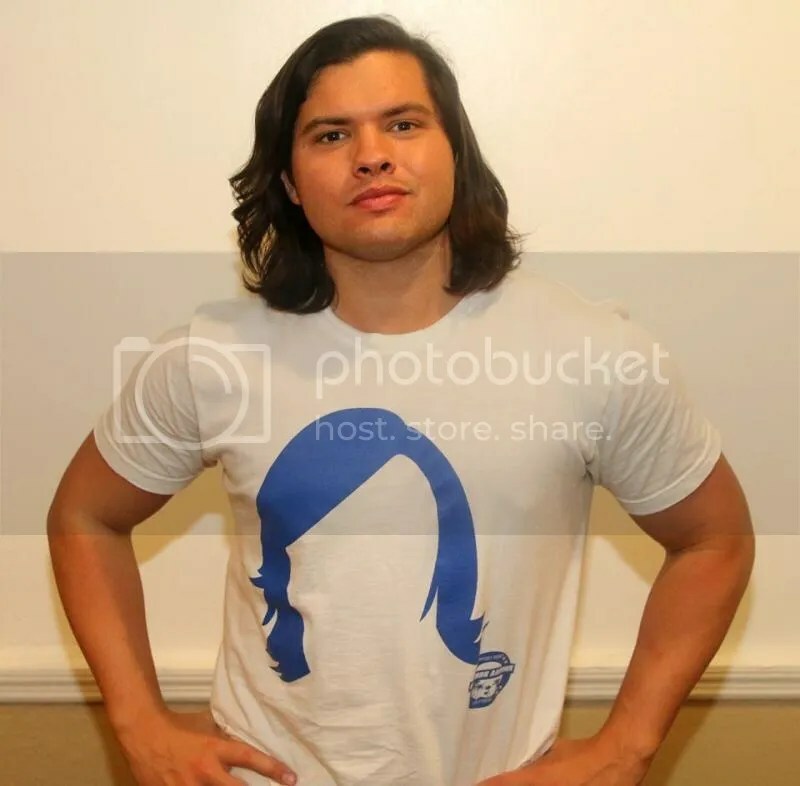 That evening Peace would defend his NWA World title at Magnum PRO against the tough as nails, popular Omaha, Nebraskan “Babyface” Tony Cortez. Cortez fought with the heart and fire that he is loved for but Pearce once again walked out as a four time NWA World Champion. News would break within days of the Pearce- Cortez match via a video that Pearce would be returning to the St. Louis area, home of Lou Thesz, Harley Race and Sam Muchnick for the first time in years . In the video he offered the chance for anyone to sign the open contract for the NWA World title for Dynamo Pro Wrestling on April 6th. 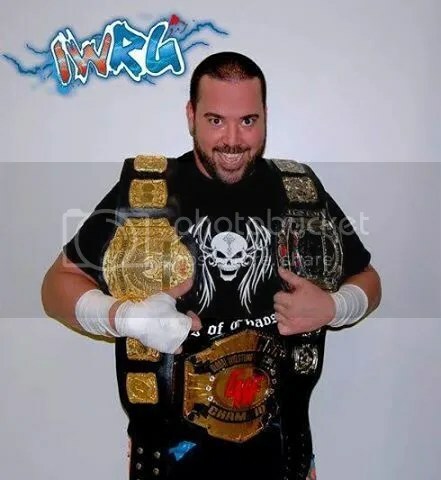 Wrestling news media around the world got to see the former NWA World Champion Steve Corino urge his friend “The Tokyo Monster” Kahagas to sign on the dotted line to meet Pearce one on one. Just a few days before the match there would be even more significance as Kahagas would win the NWA National title on March 29 in Miami, Florida from Chance Prophet at the NWA Ring Warriors Battle of the belts. On Friday night at Dynamo Pro Wrestling fans would see Pearce and Kahagas fight each other with a vengeance, but would retain the NWA World title via disqualification. Pearce’s tactics during and after the match brought out Kahagas’s good friend Ricky Cruz to get order maintained at Dynamo Pro. 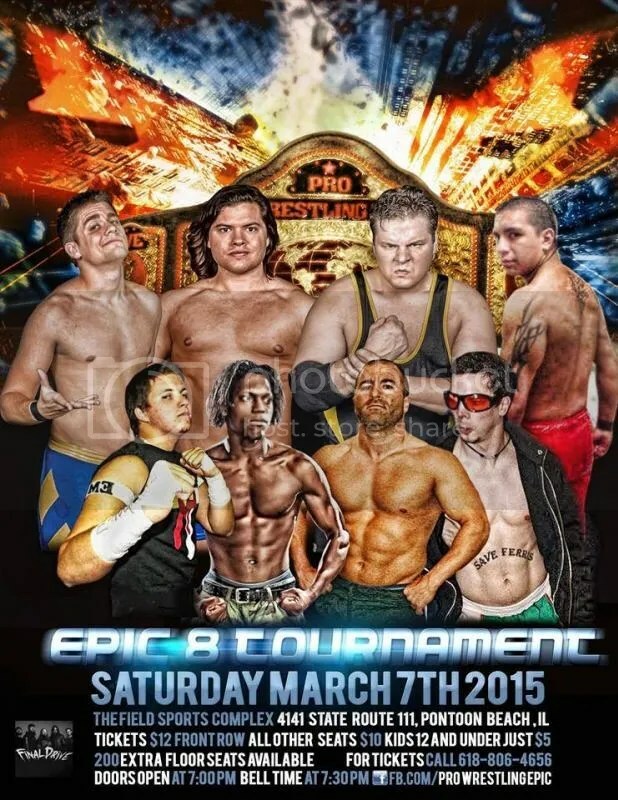 The very next night, April 7th Pearce would return to Kansas City at Metro Pro to take on Matt Murphy. Murphy had been Harley Race first graduate student, and had the opportunity to wrestle in both WWE and Japan’s Pro Wrestling Noah in his career. Pearce would be in top form withstanding a hard fighting Murphy in convincing fashion. 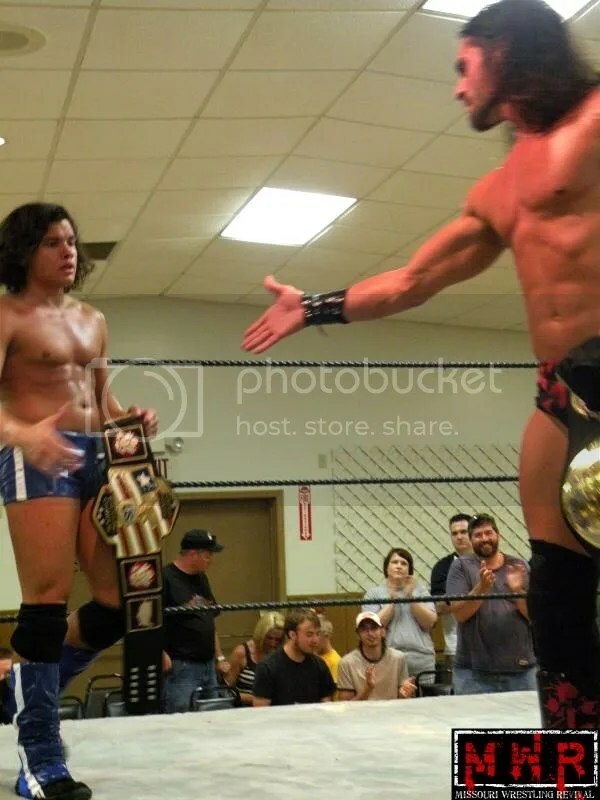 After the match Strider announced that he was wrestling his very last match and he wanted one more shot at the 10 pounds of Gold on June 2nd at Metro Pro Wrestling. 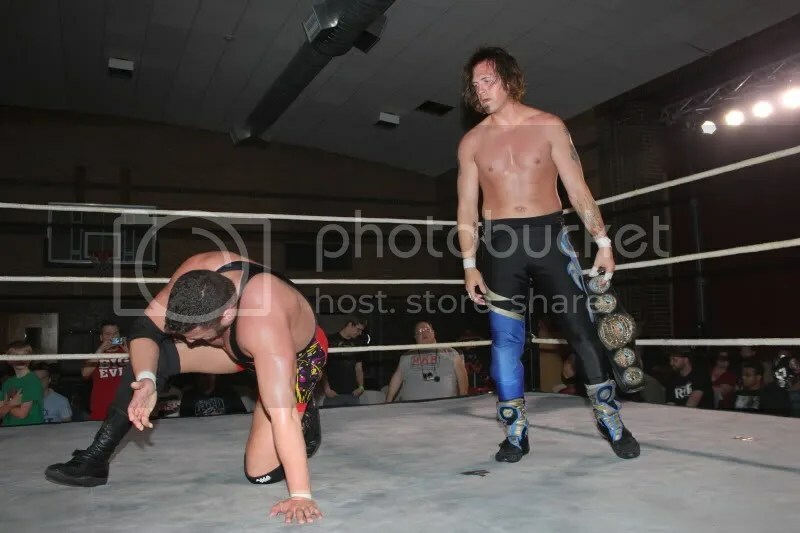 When it looked like Strider had pinned Pearce during November 21, 2011, the NWA website had made the mistake as announcing Strider as the World Champion before finding out that the match had to restart. Thus fans had already known that Strider was more than capable of riding home in the sunset as the NWA World Champion. Life has a way of throwing you curve balls, as Striders rematch at the NWA World title would go up in flames. Less than 24 hours of the announcement of their match Pearce would loss the title to arch rival Colt Cabana in Glendale, California on April 8th. 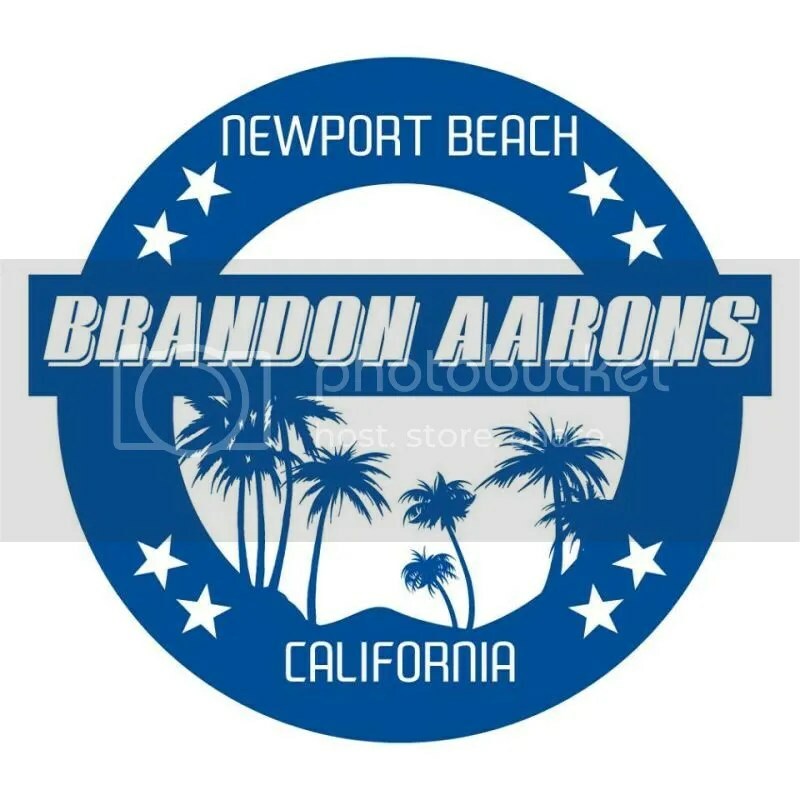 This would set the stage for the Seven levels of Hate series between the new NWA World Champion Colt Cabana and Pearce in a best of seven different matches around country for the winner laying claim as the best in the world. Pearce would be looking for positive momentum for their matches as he met competition in between the Seven Levels of Hate. On June 1st he was signed to wrestle against red hot Ricky Cruz at Dynamo Pro Wrestling. Any doubts that Cruz was not for real was washed away when he nailed Pearce with the devastating Cruz Control to pin the former champ. On June 2nd, Magic will be in the air for Metro Pro Wrestling at the Turner Rec Center for Michael Striders retirement match. Family, friends, fans and even enemies came up in droves to see one of the top stars in Kansas for the past twenty years seek revenge on Pearce. For the special occasion Kansas City wrestling artist Rob Schamberger presented Michael Strider with a portrait of the man himself. As they were celebrating, “Scrap Iron” Adam Pearce destroyed the painting over Strider’s head thus infuriating the crowd. 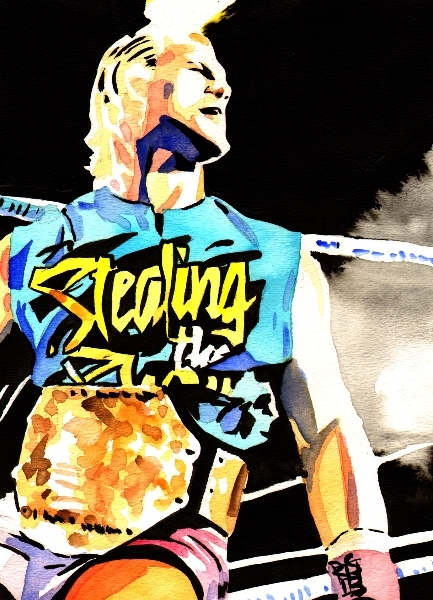 At the end of the night it would be Strider who would have the last laugh when after many thrilling moments, Strider would have the biggest and best match of his career. For the first time in Kansas City since September 17, 1981 when Ric Flair defeated Dusty Rhodes the NWA title would change hands when Pearce defeated Cabana. Less than a day later All American Pro Wrestling announced that the hottest young star in Southern Illinois, Heath Hatton was set to meet Adam Pearce on September 22nd in Marion Illinois for the NWA World title. 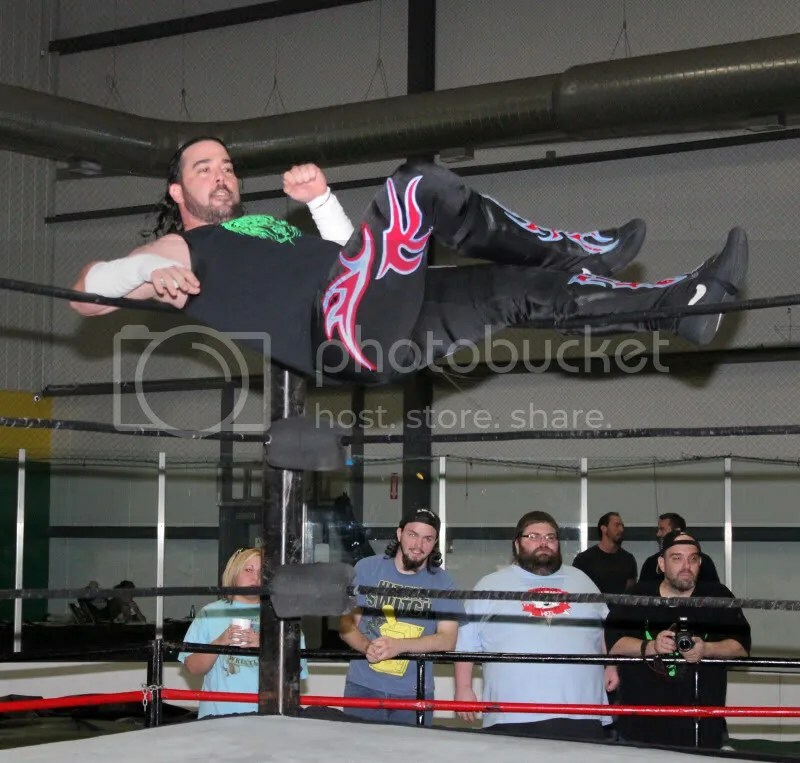 This would mark the first time in many years that the NWA World title was defended in Southern Illinois. Hatton would be tested in the biggest match of his career and though he would come up just up short, the experience and confidence that he earned during that match against Pearce will help him for years to come. 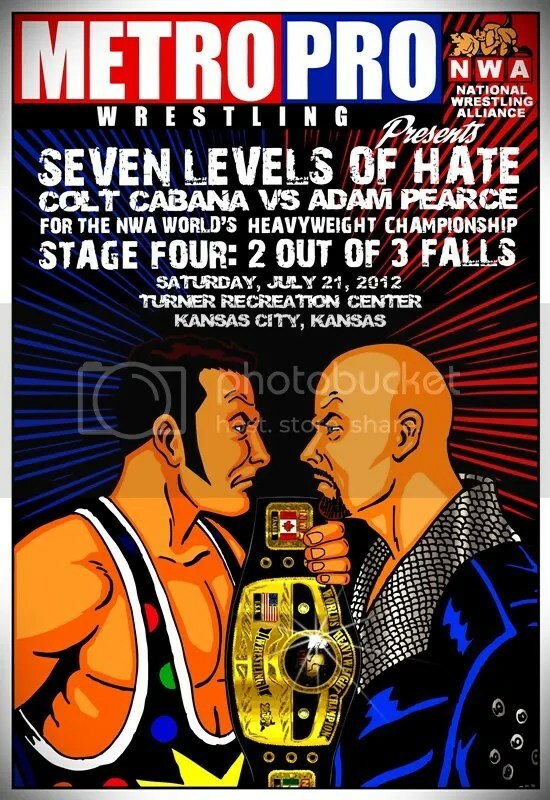 On the National scene Pearce would go on to lose the Seven Levels of Hates series and was no longer the NWA World Champion. It looked as if Pearce’s contribution in the Midwest had come to a close in 2012. 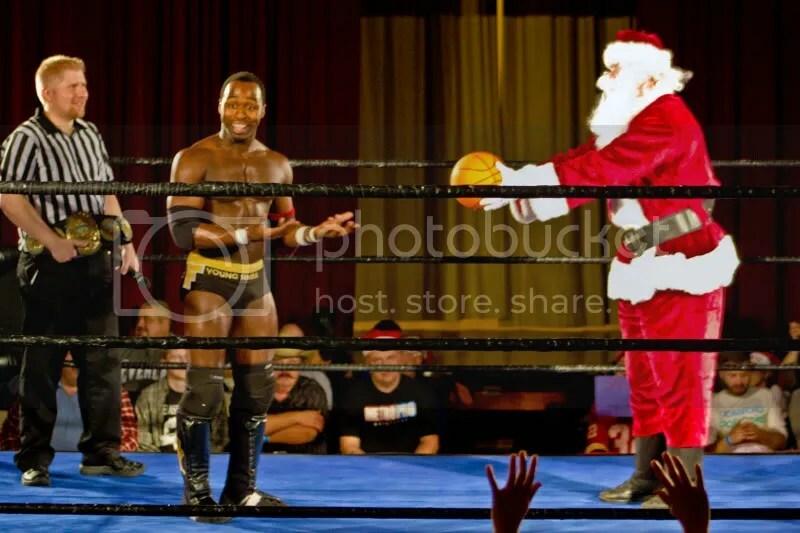 Yet, the year was not done as Pearce would have his old ally; Metro Pro Wrestling Commissioner Steven J Girthy set “Santa” aka himself up in a match for ACH’s Central States title on December 8th. “Santa” would enlist the help of Elf Natural “Miss Natural” in his quest to capture the title during the final show at Metro Pro Wrestling. 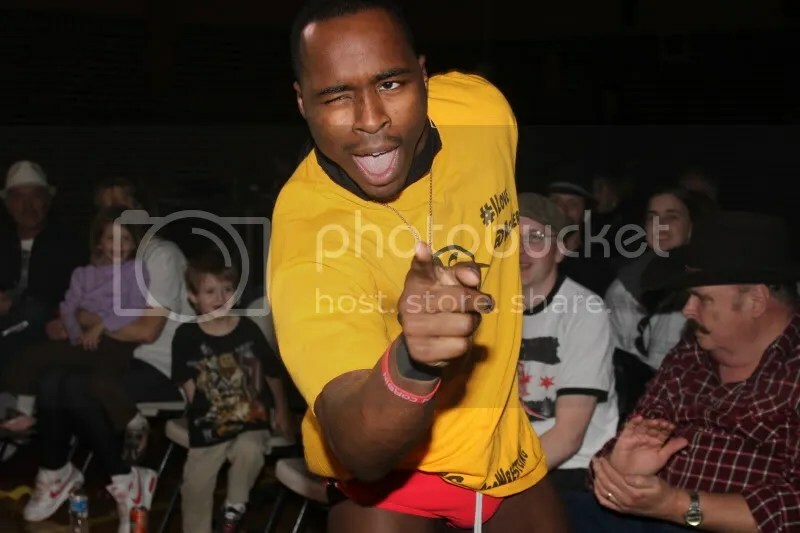 Pearce would end the night and year in the Midwest with a loss, but for the Metro Pro Wrestling fans it was a win as the match featured one of the best in the world today with one of the hottest young wrestlers in the world today, ACH. 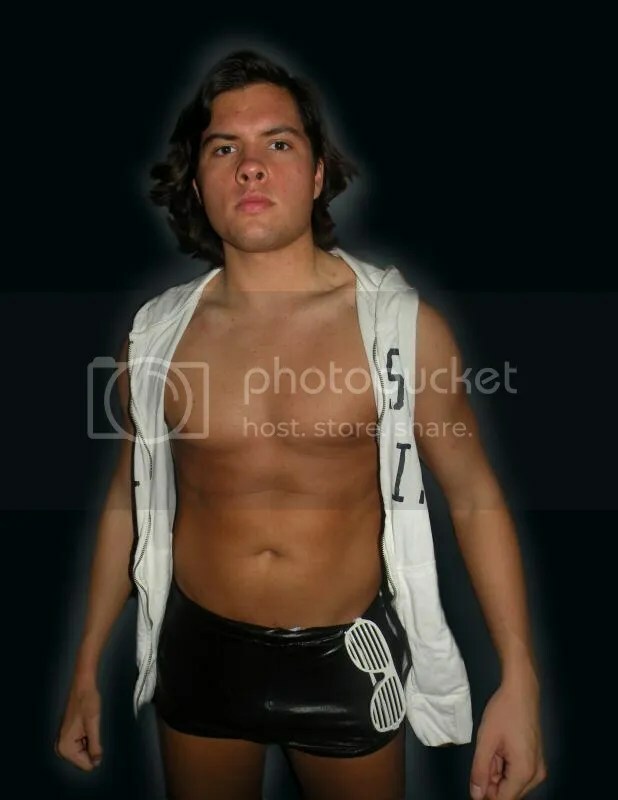 During 2012, Adam Pearce would wrestle in five MWR promotions, 3XWrestling, Magnum PRO Wrestling, Metro Pro Wrestling, Dynamo Pro Wrestling and All American Pro Wrestling. During his trips to those promotions he would give wrestlers and artist in the Midwest a great wrestling highlight including Jeremy Wyatt, “Babyface” Tony Cortez, Michael Strider, Rob Schamberger, Kahagas, Ricky Cruz, Heath Hatton, Steven J Girthy, Mark Sterling, ACH and Miss Natural. Pearce has shown leadership, ring excellence and Professionalism that any NWA Champion of yesterday would have been proud of. 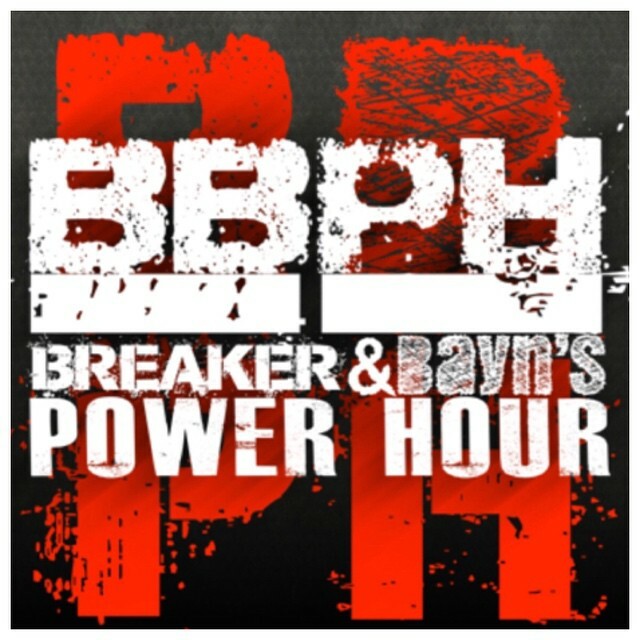 Each and every time Pearce made an appearance in the Midwest, it was big news in wrestling. 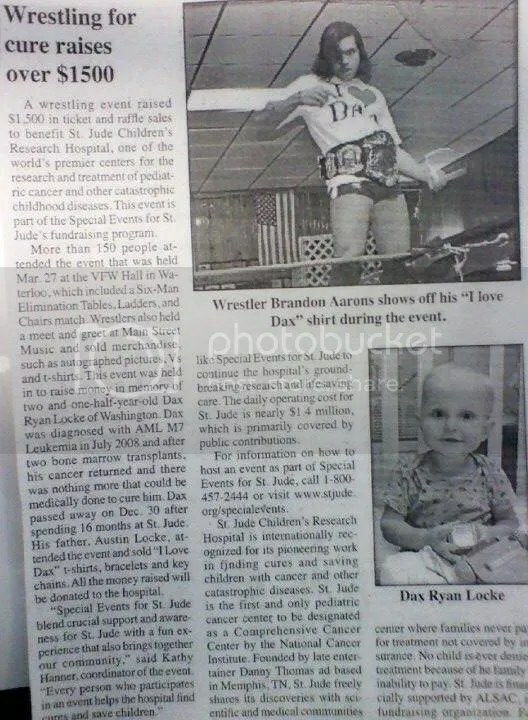 That is why it is with great respect and admiration we name Adam Pearce as the 2012 MWR Wrestler of the Year. Where we would like to see Adam Pearce in 2013? With Harley Race’s World League Wrestling set to start up TV it would be great too see two of the greatest NWA World Champions of all time in the same building. 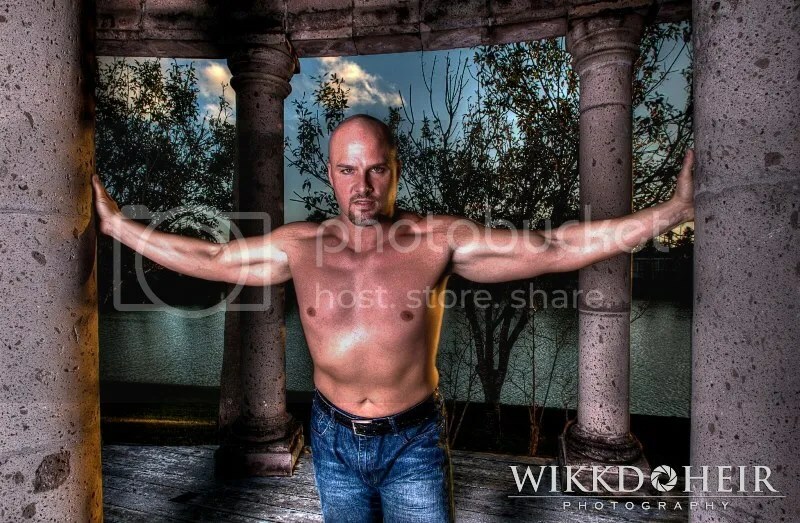 No one can talk the fans into their seats faster in 2013 than Pearce so WLW would welcome to have a great promo man like Pearce on the roster. We would love to see if these two great minds could co-exist in one promotion.